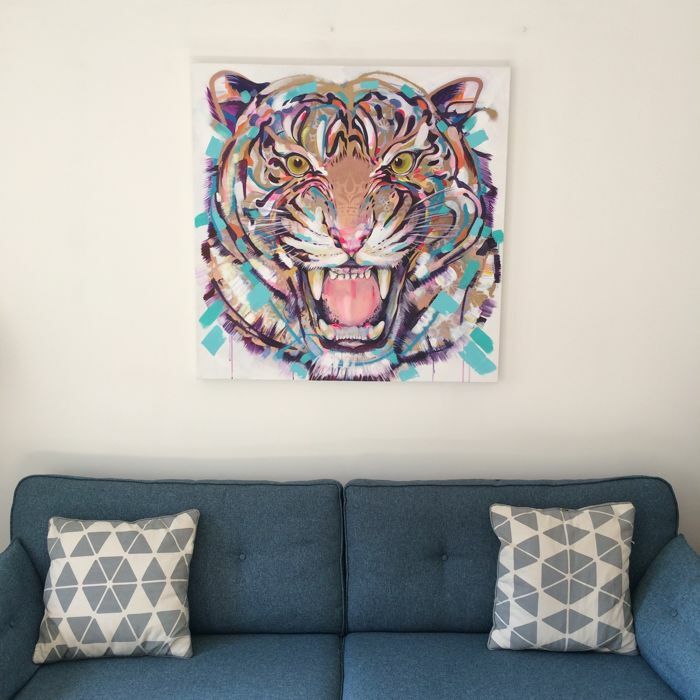 - Original Bengal tiger painting 100 x 100 cm in size – a stunning statement piece. - Painted with heavy body professional acrylic and Montana Gold spray paint. 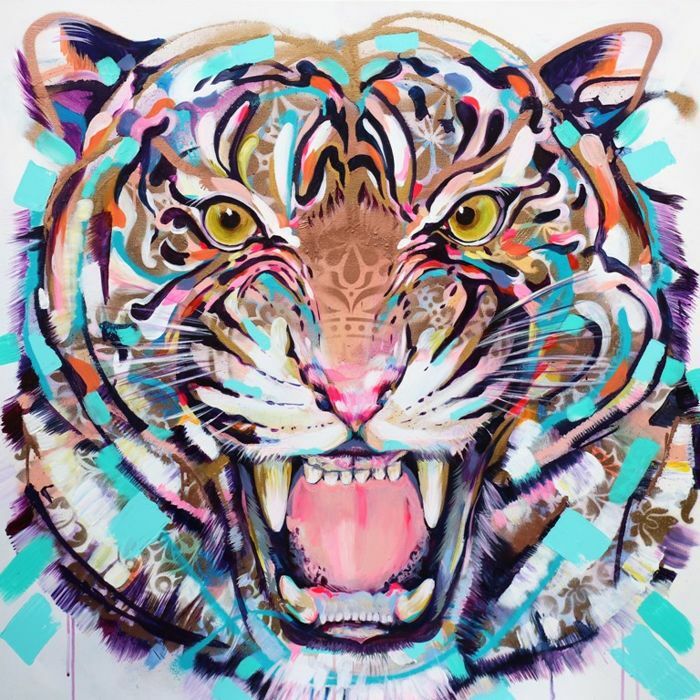 This is an original Bengal tiger painting titled 'Panthera' by British artist Sian Storey. 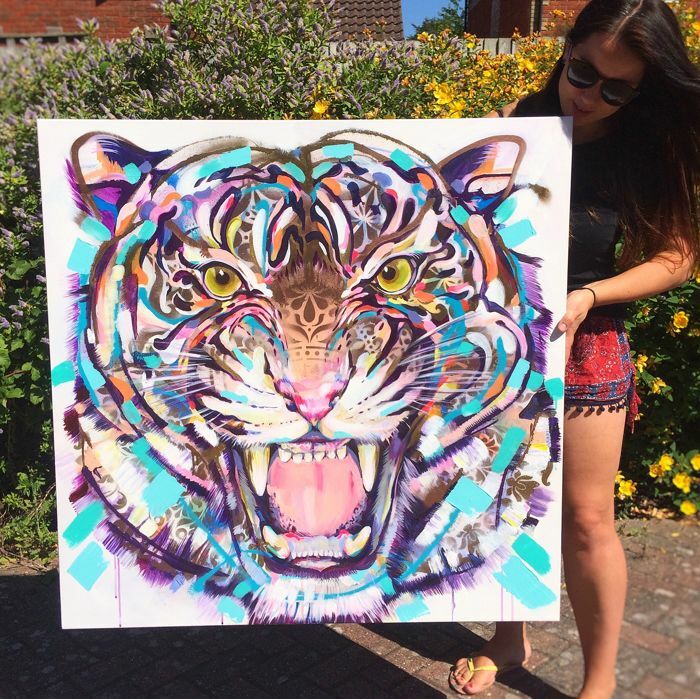 A beautiful square wildlife painting on a large 100 x 100cm canvas, this is a stunning one-off artwork. Hand painted by Sian in her Hampshire studio, the painting features copper spray paint which shimmers in the light, bringing an otherworldly quality to this piece. 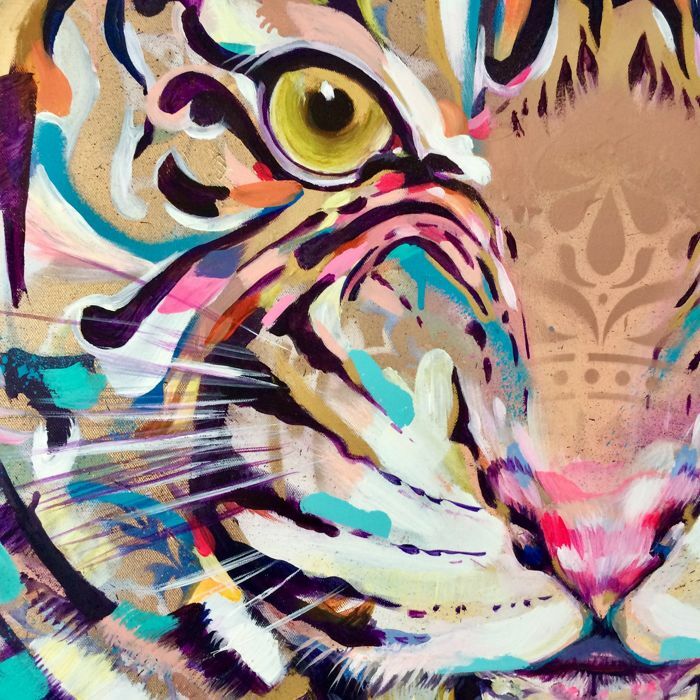 Fierce and beautiful, 'Panthera' is a tribute to the beauty and power of nature. 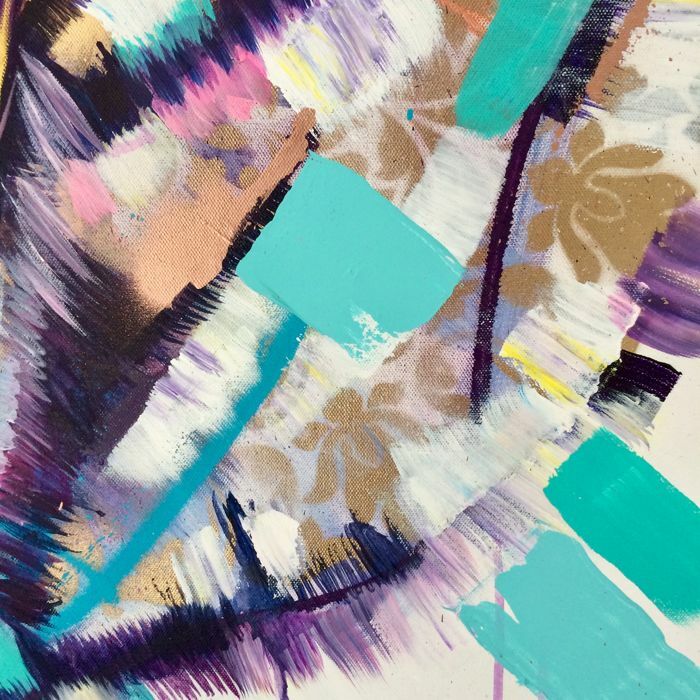 Sian Storey is also heavily influenced by travel and symbolism – Indian colours and culture feeding into this painting. 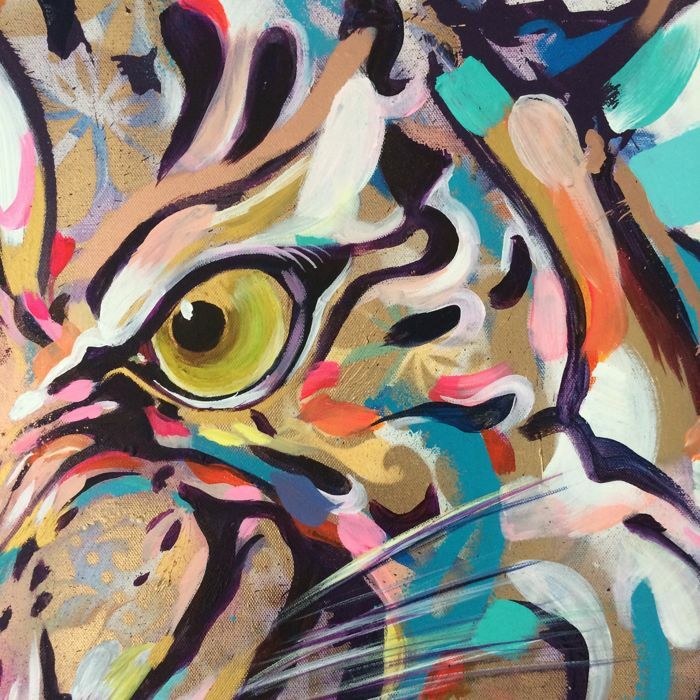 The painting title ‘Panthera’ means a genus of big cats. 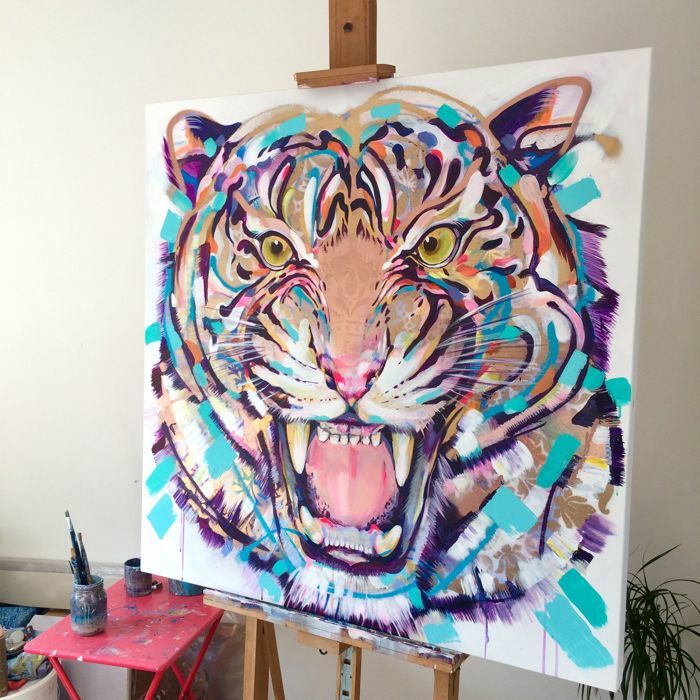 ‘Panthera’ was painted in Sian Storey’s studio in Hampshire UK in summer 2018. 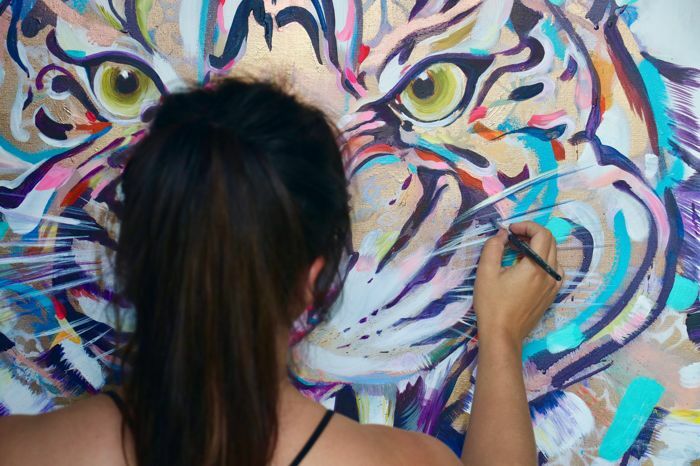 Using acrylics and spray paint, you'll see detailed, delicate brushwork and beautiful mists of spray paint. 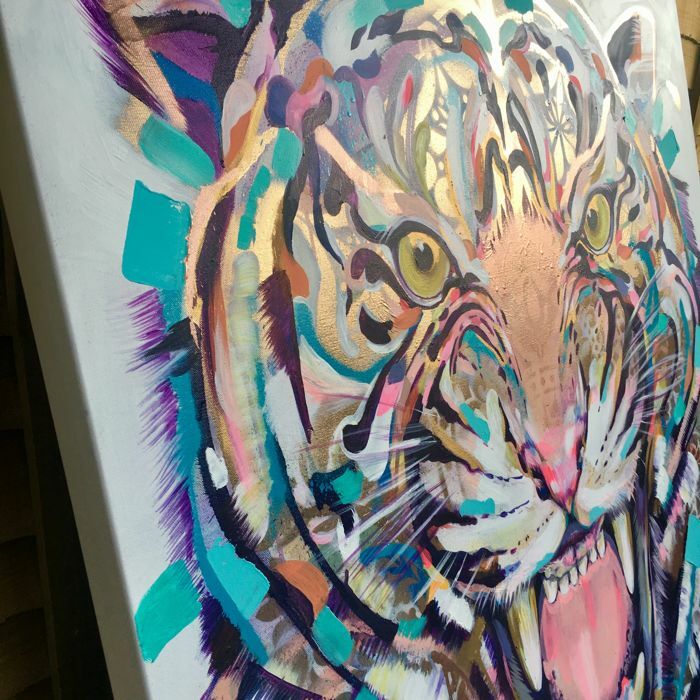 ‘Panthera’ is a stunning statement piece, and will bring the beauty and awe of nature into your home. This painting comes ready to hang - you just to put a pair of strong nails in your wall. Very well packed and a very quick delivery! I am very happy with the beautiful painting Moon Messanger!